Advertising - Website of Horse Connections! that are prepaid for three or more months. All Prices are for full color ads. 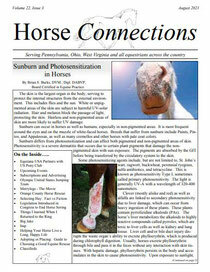 Electronic versions of ads are preferred and can be e-mailed to horseconnnections@horseconnections.com. 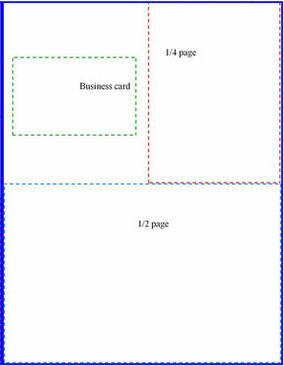 Please include camera ready artwork or 2 business cards if sending ad via postal mail. Basic charge for four lines or less is $14.00. Each additional line or portion thereof is $2.00. A Bold header may be added at no charge. 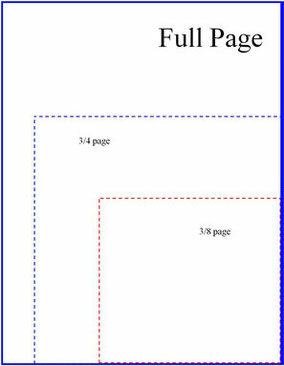 To approximate the length of your ad, use 40 characters per line including spaces and punctuation. A 10% discount is offered on ads that are prepaid for 3 or more months. Checks should be made payable to Horse Connections.